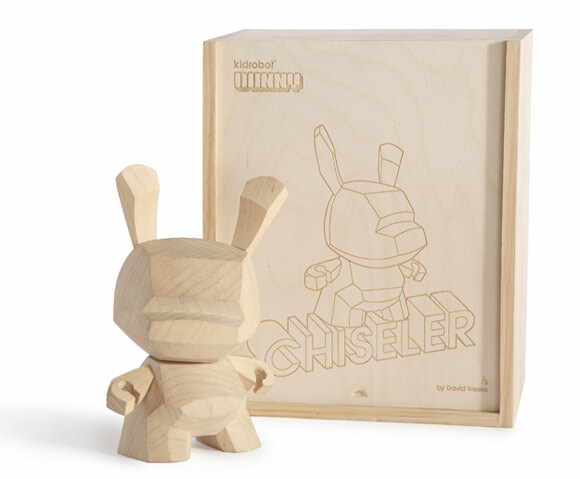 Home / News / David Weeks Wood Chiseler Dunny On Sale Now! David Weeks Wood Chiseler Dunny On Sale Now! Designer, David Weeks known for his Hanno Gorilla and Ursa Bear toys, gives Dunny the wood treatment. Complete with a laser-engraved box, only 5 of these customs made! Get yours now at the Kidrobot NY store or kidrobot.com! The post David Weeks Wood Chiseler Dunny On Sale Now! appeared first on Kidrobot Blog.